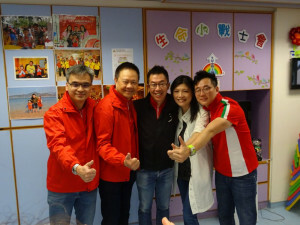 Earlier, Ferrari Owners’ Club of Hong Kong raised HK$400,000 for us. 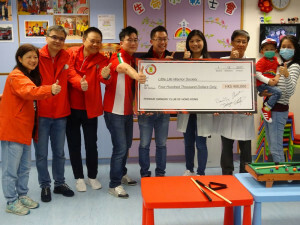 Representatives from the Club visited us on 20 March (Tuesday) night and presented a cheque to Dr. Shing Ming Kong, honorary chairman of LLWS and Ms. Chan Wai Yee Ois, chairperson of LLWS. 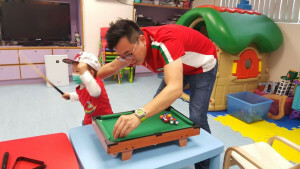 LLWS hereby would like to express our heartfelt thanks to Ferrari Owners’ Club of Hong Kong for their support to us through various activities which has brought so much happiness to our little warriors!